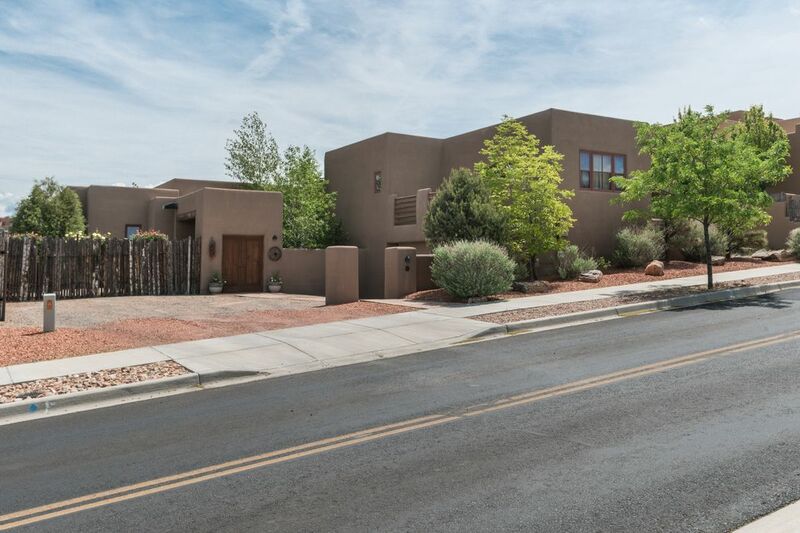 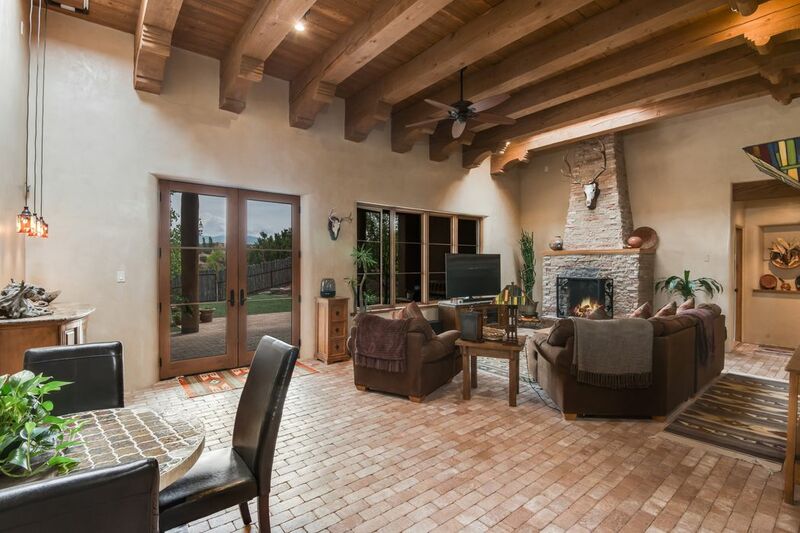 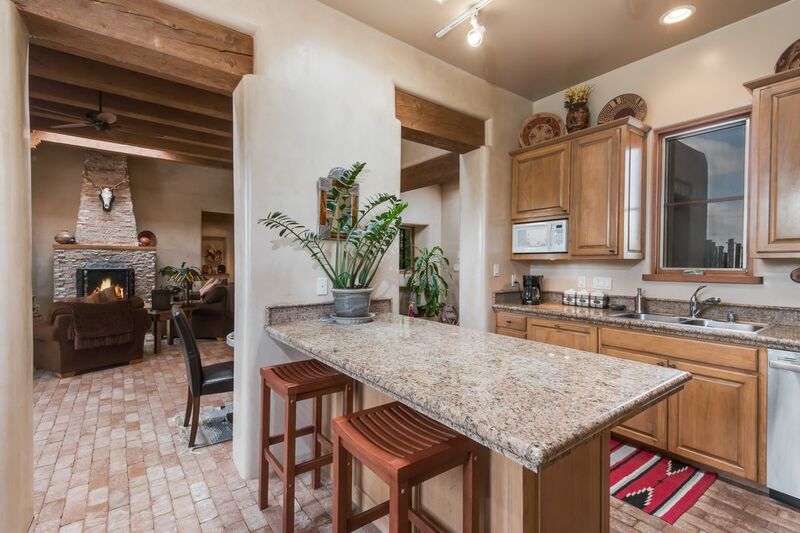 102 Avenida Frijoles , Santa Fe, NM 87507 | Sotheby's International Realty, Inc.
$575,000 3 Bedrooms3 Full Baths2,302 sq. 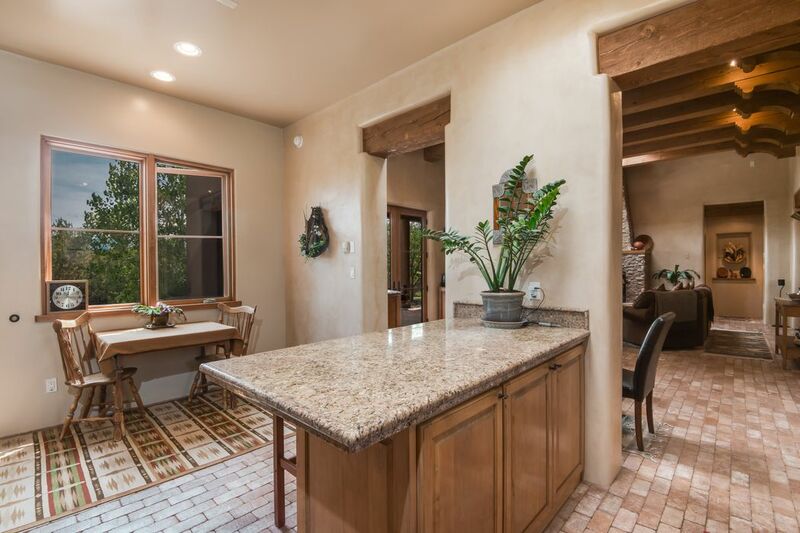 ft.
Beautiful custom home in Aldea with oversized lot and yard that adjoins the greenbelt. 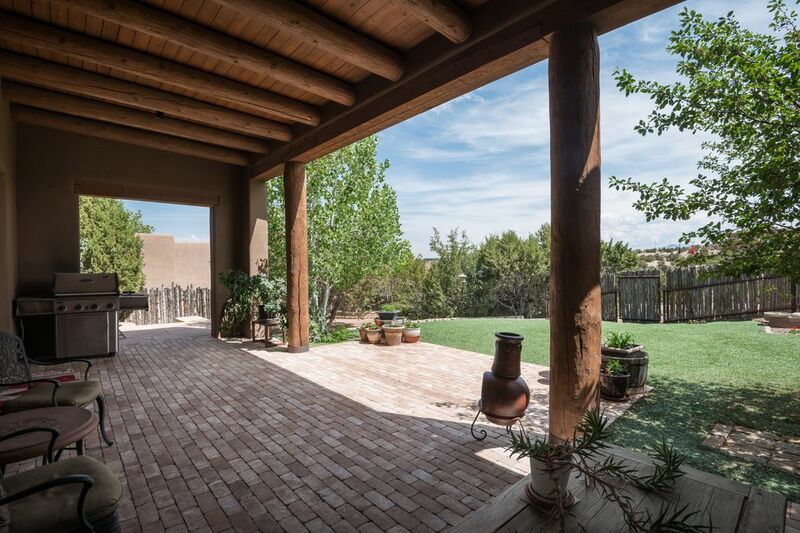 Open the back gate and walk directly to walking and hiking trails. 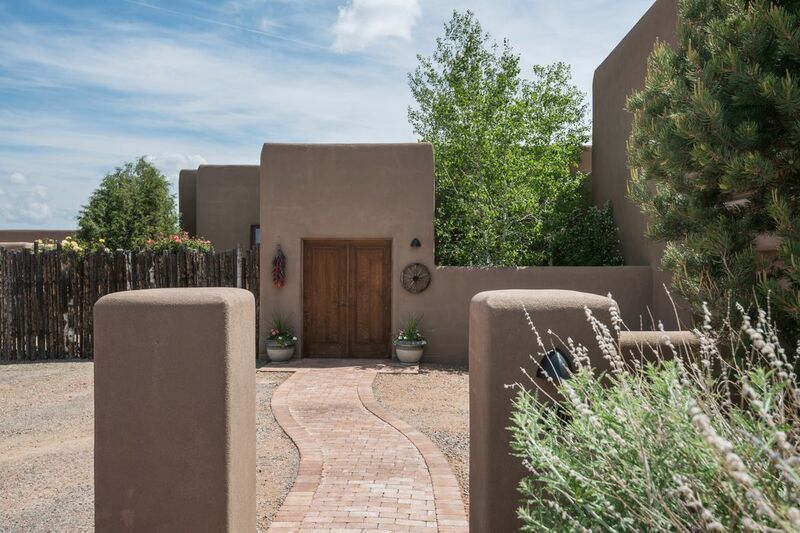 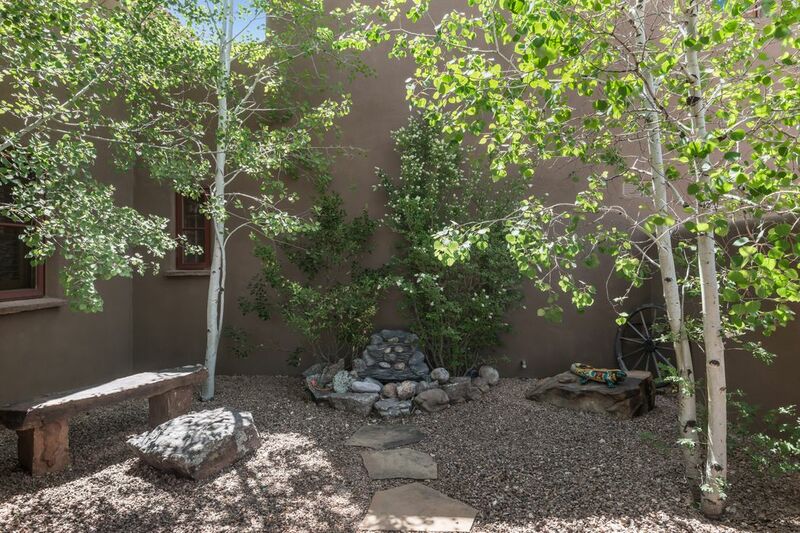 Enjoy Sangre de Cristo views from the back covered portal great for outdoor entertaining or enjoy a peaceful moment in the elegant enclosed front brick courtyard. 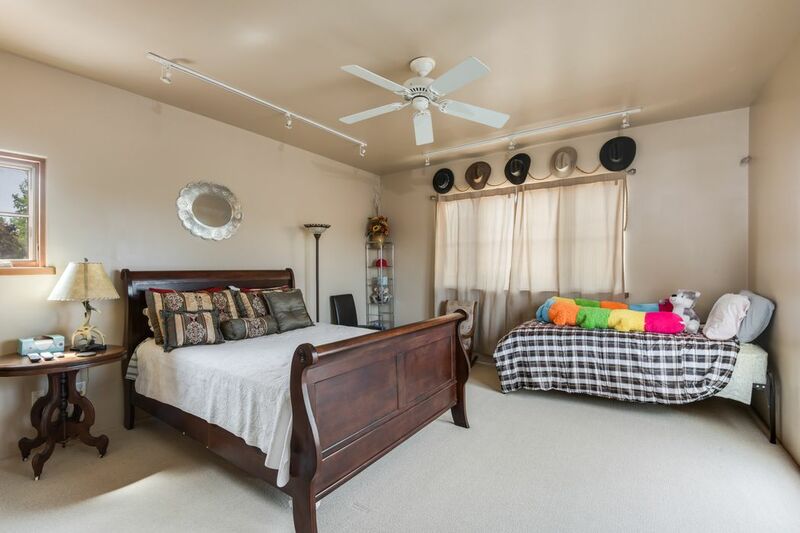 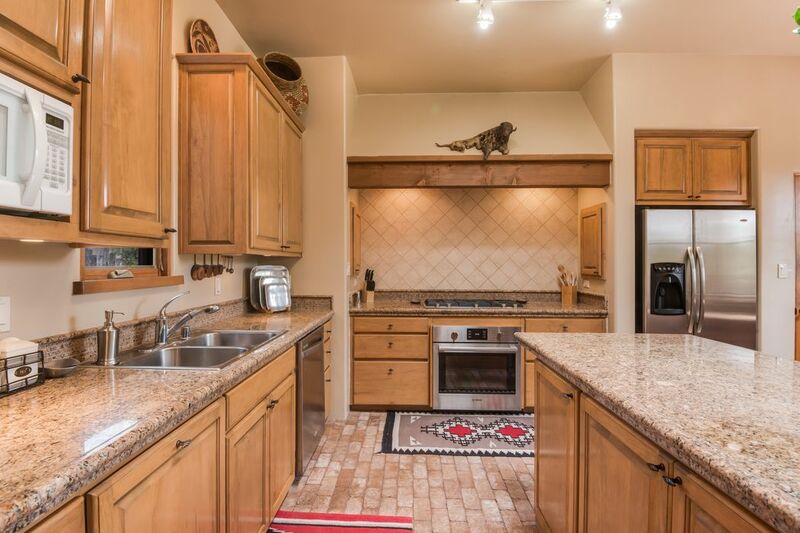 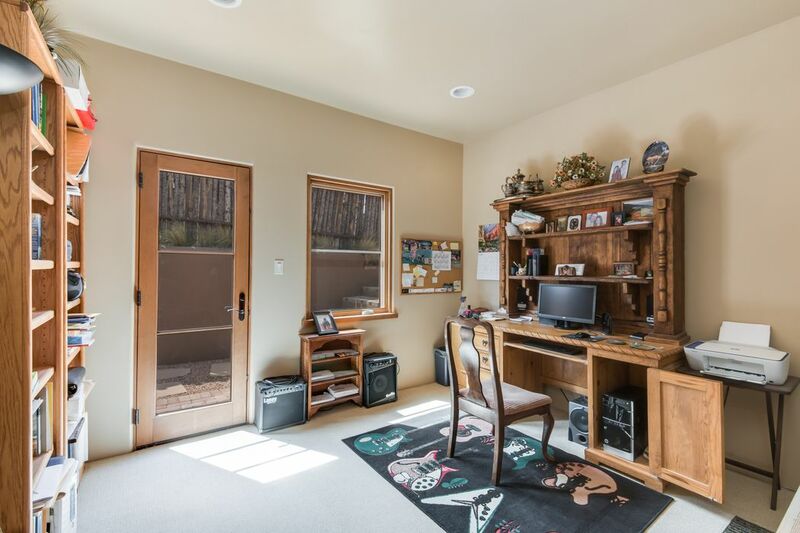 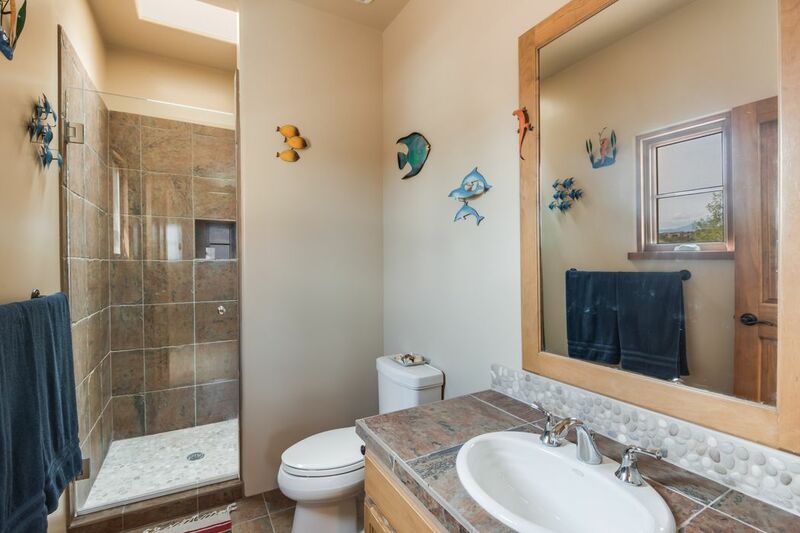 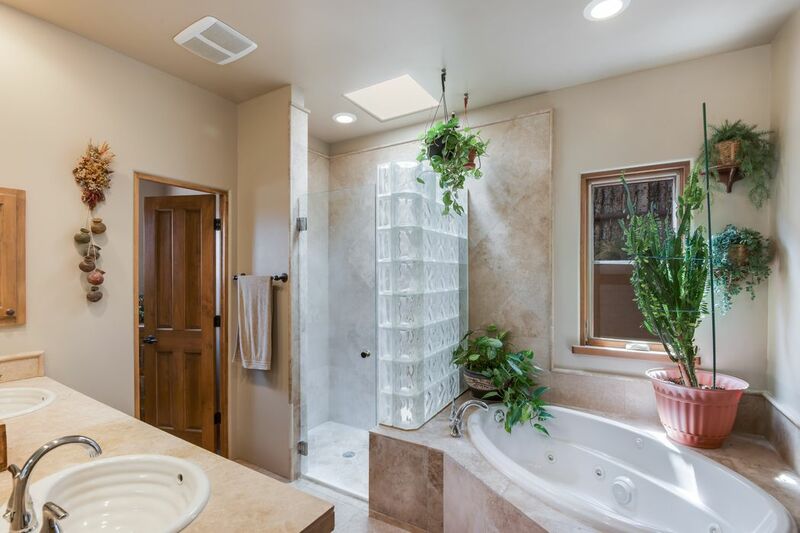 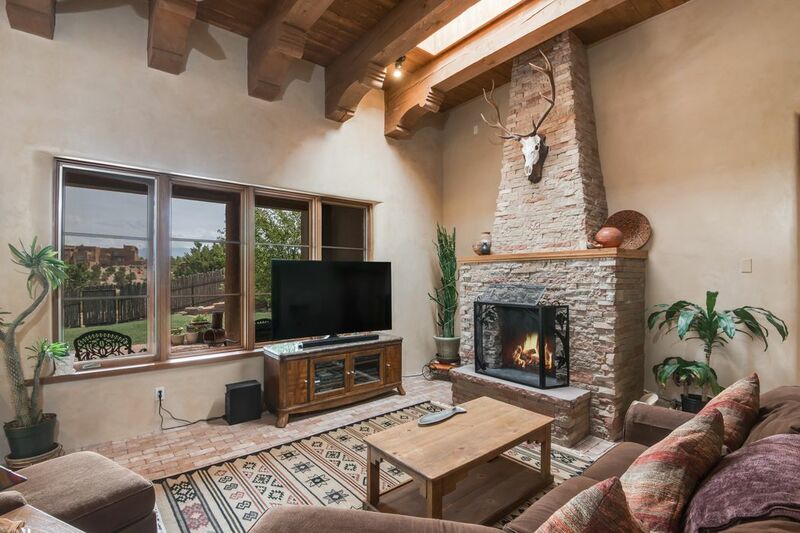 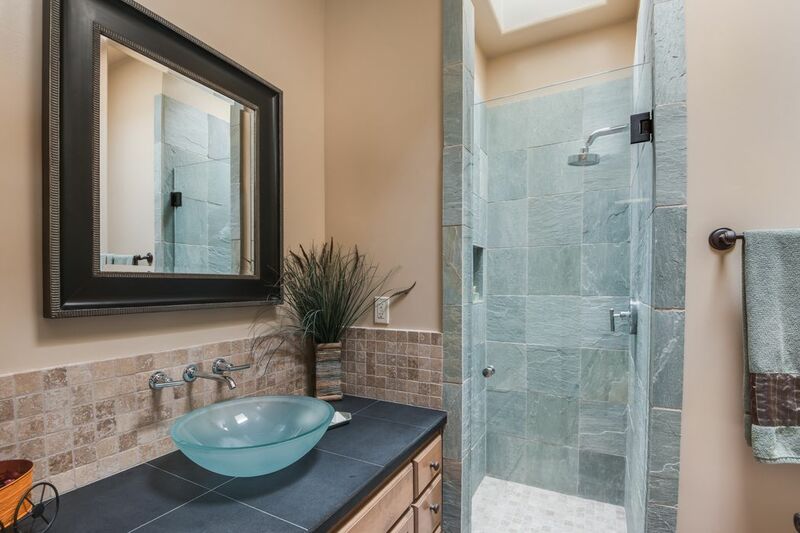 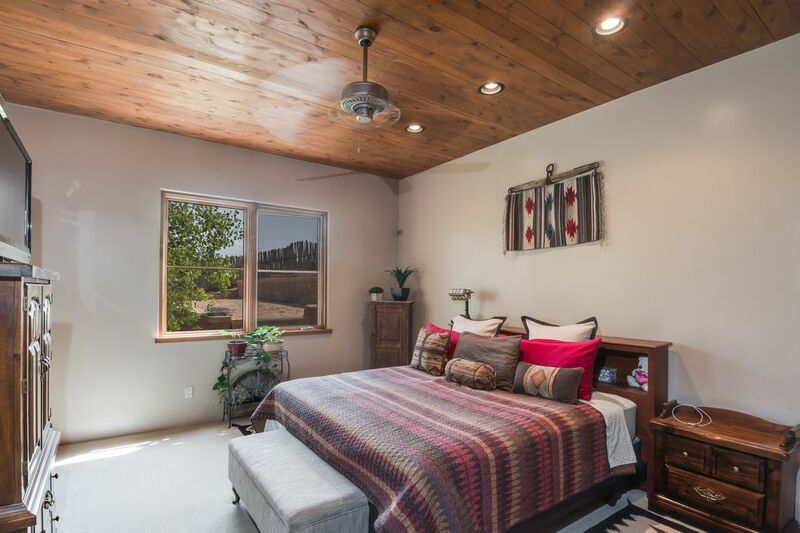 Designed with today's buyer in mind, the home has two master suites, one upstairs with wonderful deck and Jemez views and one downstairs with access to rear portal with East mountain views. 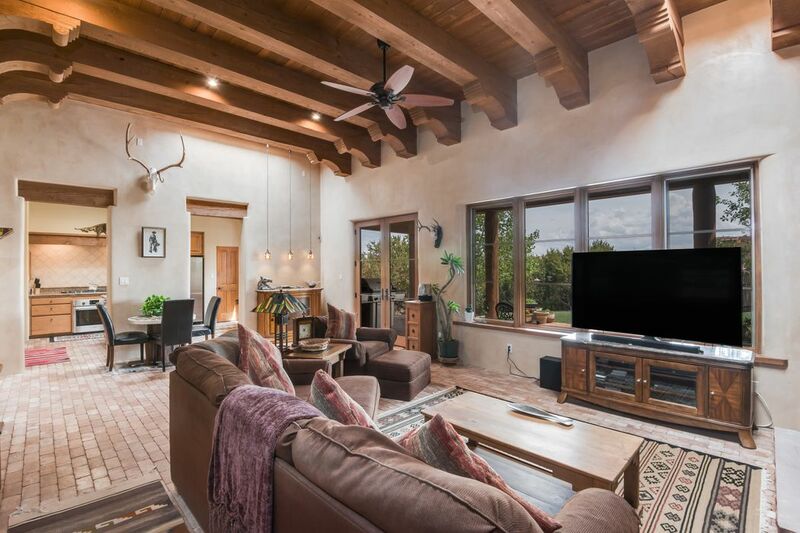 Fantastic outdoor living areas, vast views, hard troweled plaster interior walls, tumbled brick floors, vigas with custom designed carved corbels, Rumsford fireplace, granite counter tops in kitchen, and stainless appliances. 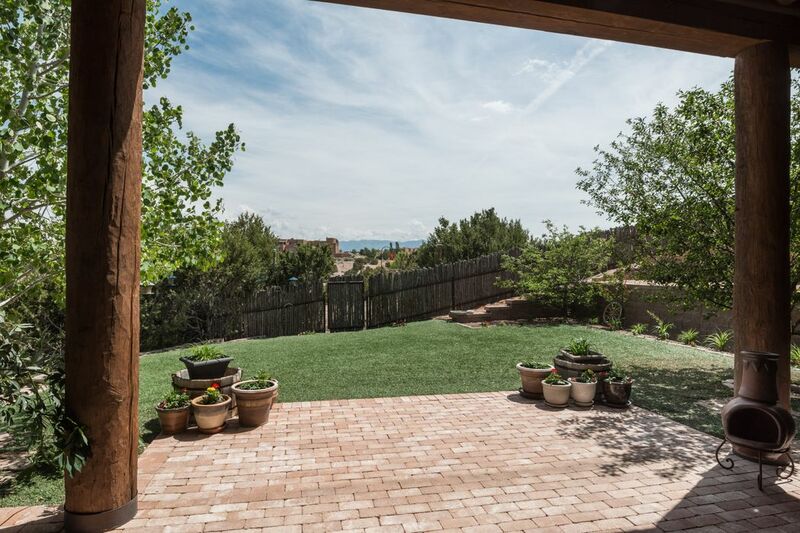 Extensive landscaping with terraced sections for flower and/or vegetable gardens. 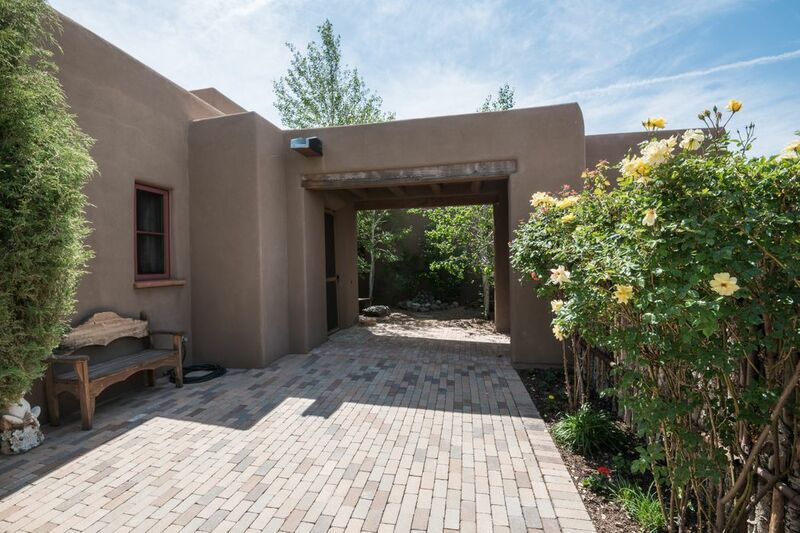 Located in the desirable community of Aldea with community plaza and walking trails and convenient access to Santa Fe.